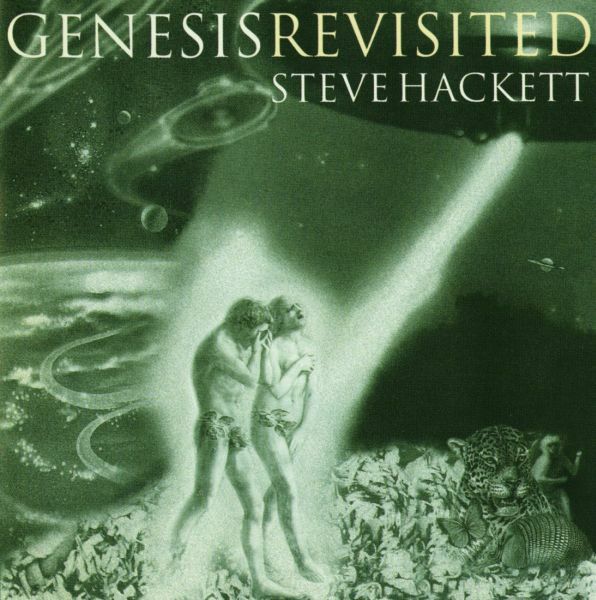 After Steve Hackett left Genesis in 1977, he continued to create imaginative music while his cohorts gradually faded into a massive commercial success. With the Genesis of old long gone, Steve returns to his roots, kind of. Selling Genesis by the Yen? Maybe, but with the plethora of tribute CD's out there, why not? Steve has quite a line-up on this eleven track disc: Wetton, Bruford, Levin, Magnus, and Thompson to name only a few. "Watcher of the Skies" is good, if only for Bruford's wicked drumming, while "Your Own Special Way" features Paul Carrack's saccharine vocals, orchestration, and a slight tempo change — one could call it Adult Contemporary swill. For "Dance on a Volcano," Steve does his usual vocal distortions over a fairly faithful version (some nice basswork here by Alphonso Johnson). "Valley of Kings," "Deja Vu," and "Riding the Colossus" (the latter was called "Depth Charge" on his Time Lapse CD) are non-Genesis tracks with "Colossus" being the only decent song among them. "Fountain of Salmacis" is the best song on the album — they did a nice job on this one; "Waiting Room Only" is mostly atonal meanderings. For "I Know What I Like," they again apply a tempo change, which in this case makes it very unlistenable, and while "Firth of Fifth" is a good song, the version presented here isn't all that special. In all I feel he could have done without the slow songs, as his "interpretations" of them veer even farther off course, and are in no way better than the originals. Souless, harmless, adult pop, Genesis Revisited has some genuine moments, but was it worth $33? Hell, no.